By 1918, Picasso had become friends with fellow artists and poet Jean Cocteau, which led him to work with the Russian Ballet. There, he met dancer Olga Koklova, whom he fell in love with and married. She became an influence to his work at this time, as did many women throughout his career. He returned to more traditional styles at this time, though still infused his work with Cubism. By the mid 1920s, Picasso had become overbearingly famous. He did not like the fact that all of his work was always revered, simply because of his fame. He became frustrated and his marriage became strained, beginning a whirlwind of divorce, mistresses and illegitimate children. He took up sculpting at this time, and became highly influenced by newfound Surrealism after 1927. 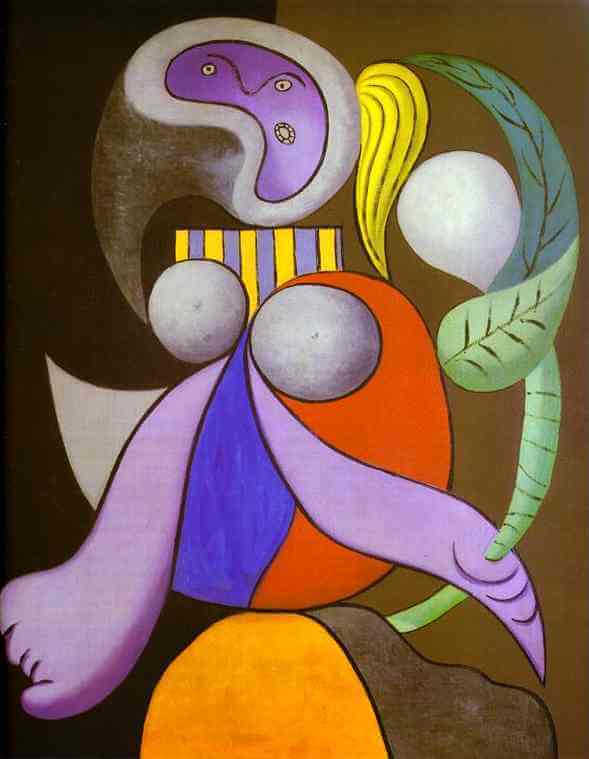 Surrealist influence can be seen in one of his best known paintings Woman with a Flower.